The Research and Innovation Office at the University of Zululand (UNIZULU) recently hosted an induction for postgraduate students with the aim of ensuring that they receive optimal support from initiation to completion of their postgraduate studies. Held at the King Bhekuzulu Hall, the event provided students with an overview of the intended journey and experience of a UNIZULU postgraduate researcher. In his opening address, Deputy Vice-Chancellor: Research and Innovation Professor Gideon De Wet advised the postgraduates students to take the event as an opportunity to seek clarity for any matters. “The success of your journey lies in the hands of your partnership with your supervisors. You cannot walk this path on your own,” he said. The programme was packed with information. Students were exposed to research and funding opportunities offered by the National Research Foundation as well as the wide range of academic development and support services offered by the University. Dr Cassim’s primary goal is to see postgraduate students complete their degrees and reach their full potential. She therefore gave the students some pointers on how to write a research proposal, apply for funding as well as the dietary requirements of a postgraduate student. Students also heard presentations by representatives of the Community Engagement Office, Library and Writing Centre. 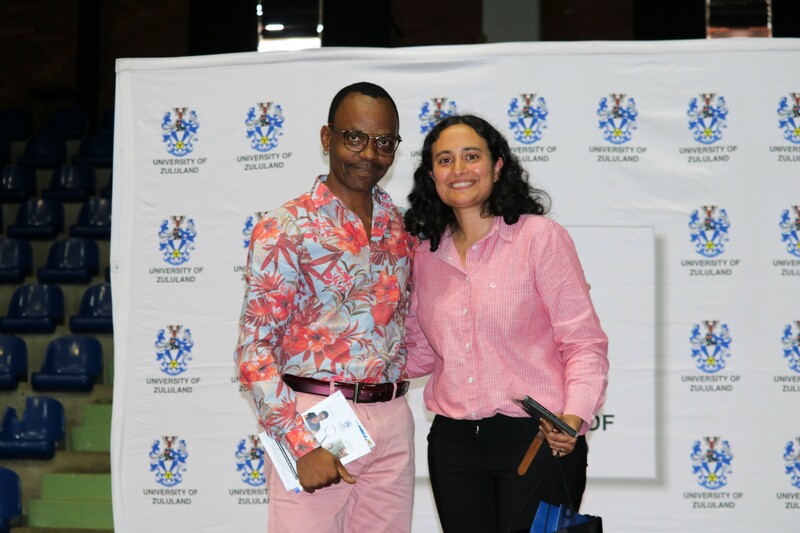 Professor Nhlanhla Mlitwa, Director: Research and Innovation, with Dr Layla Cassim, Owner and Managing Member of Layla Cassim ERS Consultants CC.